A city man was arrested with Xanax pills and cocaine in a Madison Avenue traffic stop early Tuesday morning, according to Passaic County Sheriff Richard Berdnik. 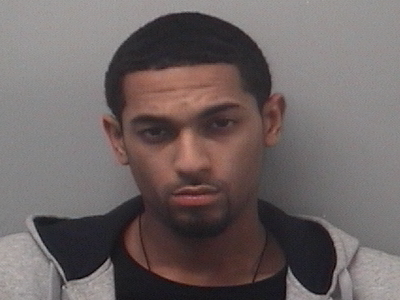 Jay Polanco, 29-year-old, has been charged with six drug possession and distribution offenses. He was arrested when an officer pulled over a suspicious vehicle on Madison Avenue at around 1:43 a.m.
Polanco was a passenger in the vehicle, authorities said. He allegedly had 96 Xanax pills and 7 baggies of cocaine, and a bag of marijuana. Authorities confiscated $210 in suspected drug money from Polanco. Officer Carlos Aymat conducted the motor vehicle stop that resulted in the seizure of drugs and the arrest. He conducted the stop after smelling a strong marijuana odor coming from the vehicle, authorities said. Polanco is being held at the Passaic County Jail.